Classic 56' Hatteras Motoryacht in Exceptionally Good Condition; Fully Found, Serviced and Ready for Sea. The 56 Hatteras Motoryacht was the standard by which other vessels were evaluated during the production years of 1980 to 1985. 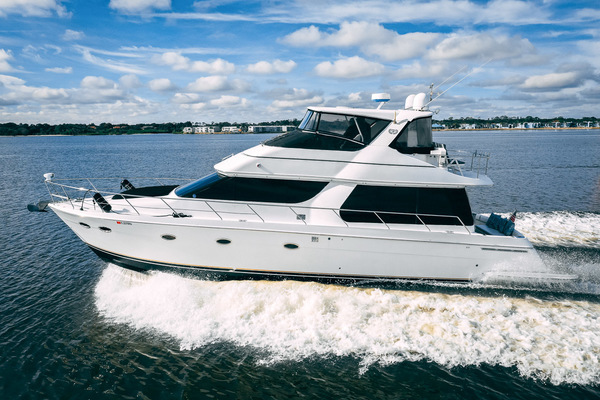 Almost forty years later the 56 Hatteras still makes a great Live-Aboard, Cruising Yacht with full walk-around decks, large aft deck for entertaining, both upper and lower helm stations, a practical galley with four seat dinette, and a three stateroom layout that provides privacy for all the guests. 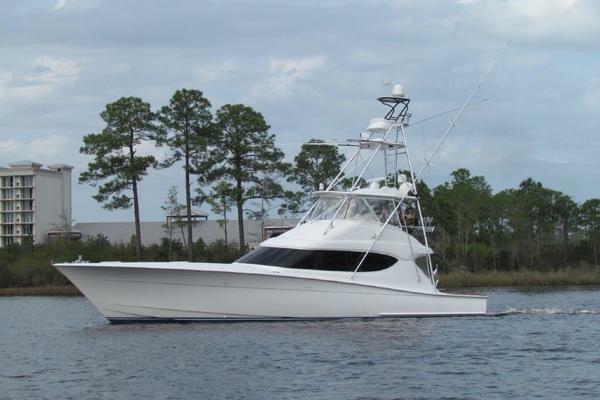 United Yacht Sales New Jersey would love to guide you through a personal showing of this 56' Hatteras 56 Motor Yacht 1981. 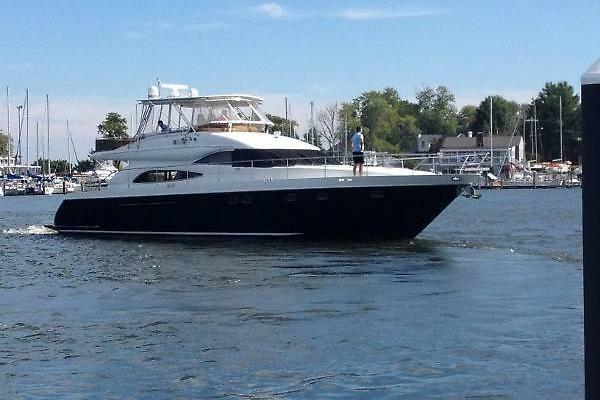 This yacht for sale is located in Ft. Lauderdale, Florida and priced at $249,000. For a showing please contact us by filling out the form on this page and we will get back to you shortly! September Song is an exceptionally well maintained yacht and has been lived aboard and cruised in the Bahamas and Florida Keys the last four years by a very knowledgeable yachting couple, and as such has benefited from being used and is fully found and ready to leave port without delay. The present owners are reluctantly leaving the boat and relocating overseas. Always maintained the engines and generator were serviced with new oil and fuel filters spring of 2018 and the Vacuflush heads were serviced with new bellows and duckbills in 2018. Bottom paint is still good with last haulout October 2017.